One of the pioneers of the new wave of American Heavy Metal. 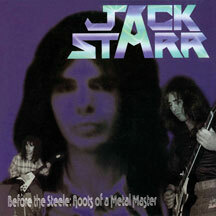 Jack Starr came on to the rock metal scene in 1982 when he was selected by Mike Varney of Guitar Player magazine to appear on his compilation record entitled U.S.Metal Volume 2. This was the start of many great things for this quiet unassuming guitar hero. In this quote, Jack says “I was blown away to think that out of thousands of other guitar players from all over the United States, my playing was picked for this album, and especially by a writer for a magazine like Guitar Player that I had read ever since I started playing. The song Jack sent in was Children of the Storm. this song, with it’s minor key moodiness and relentless beat would set the tone and be the template for the style of music that would become Virgin Steele. As the U.S. Metal album began to sell more and more it was apparent that the band that Jack Starr and 18 year old drummer Joey Ayvazian founded and named Virgin Steele was ready to record it’s first album. After finding a great bass player in the person of Joe O’Reilly and a singer named Dave Defeis there would be no stopping the men of steele. Thus begins the saga of Virgin Steele and the creation of Virgin Steele One. The album begins with its classical Bach sounding intro and quickly attacks the listener with it’s ear piercing screams and wall of sound guitar. It does not let up untill the very end leaving one feel as if they have been trampled by a wild herd of elephants. Coupled with it’s eerie cover art and strange liner notes and even including the guitar players home phone number its uniqueness would not go unoticed. 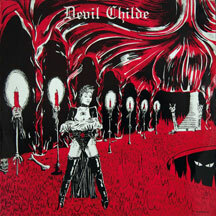 Within one month, a record company in England had contacted the band and offered a record deal. The record company was Music for Nations and their first release was Virgin Steele One. The label fueled by the success of Virgin Steele later went on to sign Metallica, Ratt, Manowar and many others. It came to pass that this once local band founded in the suburbs of Long Island would impact on the future of Heavy Metal. Things started to move fast for the band in 1983; Kerrang Magazine bestowed Guitar Hero status on Jack Starr. The encyclopedia of Heavy Metal by Geoff Barton said, “Virgin Steele One should mark the start of great things for the band”. A flurry of press high profile concerts, big budget photo shoots, videos, and words like “the next big thing” followed the band wherever they went. After the success of the first album. The boys knew that the next album would have to be even heavier and Jack came up with the concept “Guardians of the Flame”. Jack felt Virgin Steele had become a band that kept true metal alive and a band that would not follow trends. The album’s title track, with it’s brutal chunky chords and determined aggressiveness announced to the world there was now an alternative. You could listen to a flock of seagulls and their ilk, or you could join the Guardians for an adventure into the world of light and dark, good and evil. But always trusting in thy sword. The album was released, and it was another great success. Despite the success of all these releases, there was a growing tension beetween Jack Starr and David De Feis and it wasn’t clear at the time which direction the band should have follow. Jack was going for a harder stuff while David wanted a different approach. These artistic differences between Jack and Dave created a stressful environment for Jack. He decided that he needed to take a hiatus, which would give things time to get back on track. Jack accepted one of the many offers which were being hurled at him. He went to the upstate town of Rochester, New York and recorded a solo album, “Out Of The Darkness” with Rhett Forrester of Riot on vocals and the rhythmic section of The Rods, Gary Bardonero on bass and Carl Canedy on drums. The album received enthusiastic reviews, and so Jack decided to go on with his solo career, creating great albums and finding great singers like Rhett and later Mike Tirelli. He did this throughout the eighties making a slew of brilliant recordings and winning the praise of the Metal community. He called his band “Burning Starr”. Named after his nickname Burning Starr for his ability to burn on his guitar. The last album he did in the eighties was the all-instrumental album, A Minor Disturbance. 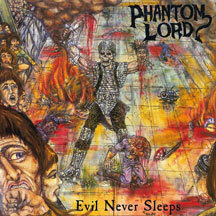 This album featured Randy Coven on bass. Stylistically the band covered Latin Funk Blues and Metal. 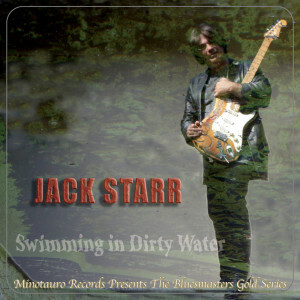 The album with it’s over the top guitar playing put Starr back on the map. The bass player is now playing with Ynqwie Malmsteen, but the album that he is most known for during the eighties is No Turning Back. This album charted on commercial radio in the U.S. and prompted a tour of the U.S. which saw “Burning Starr” playing in places like Chicago, Cleveland & Dallas. Even doing a live radio broadcast, which featured Starr playing a live 10-minute guitar solo on Z Rock that was broadcasted in 16 cities. The band broke out and blazed a trail of heavy metal intensity across the states, but unfortunately the bands bass player William Fairchild nicknamed Freebass, ended up overdosing on drugs. He became a victim of a lifestyle that can turn on a person as much as it can reward one with the trapping of success. The band broke up in 1989. a possible victim of nineties backlash a metal magazine said, “Burning Starr” was a hair band in looks only, they certainly could outplay bands like “Poison” and “Motley Crue” but lacked the edge of “Metallica”. They were in the middle of “Poison” and “Metallica” but there was no audiences in the middle. “Burning Starr” saw its fan base erode finally calling it quits in 1989. 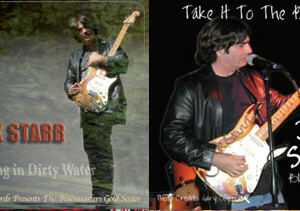 Later two members, Jim Harris and Mike Tirelli formed a band called “Holy Mother”. Jack, disgusted with the music scene, dropped out for several years but not before forming a band with the bass player of “Foghat”, Graig McGregor. This band was called “Smoke Stack Lightning”. Burning starr’s former manager, Frank Cariola, managed them. But unfortunately, their brand of bluesy hard rock was unable to secure an audience in the “Nirvana” age of the early nineties. 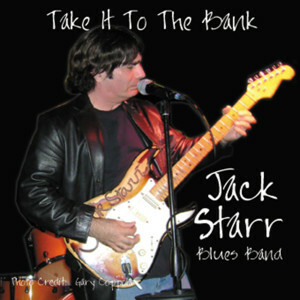 The year 2003 finds Jack with a new band the Guardians of the Flame featuring muscians that Jack has long wanted in his band ,the drummer and bass player ,Joe Hasselvander and Ned Meloni were in fact in his band Burning Starr in the early eighties and the singer Shmoulik Avigal was someone that Jack had always expressed a desire to play with. That day has come and GOF has arrived with ‘Under A Savage Sky’ an album that is enjoying wonderful reviews and is fast becoming the biggest seller in Jack’s lengthy career which has spanned over 20 years! To quote Jack”I am in this for the long haul and to make great music,trends and fads will come and go but good music will survive” Thanks for Listening.